Now that October is here we can really begin to feel that Fall has arrived! The fall colors in Moscow are famous for being beautiful, and I confess it’s my favorite time of year. 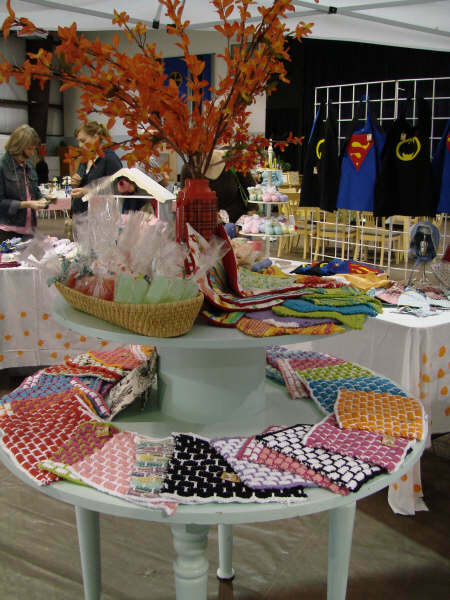 The ladies’ fellowship hosted our first ever Fall Jolly last Saturday which was a combination food, craft fair, and tag sale. I think we can safely call it a big success, and we are hoping it can become an annual event. Here are a few pics. 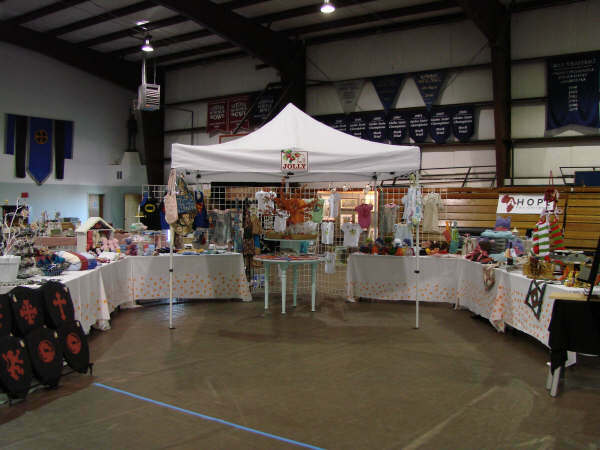 Not only was the craft fair a hit, but we sold lots of used furniture and household items at the tag sale, and the hot dogs and sausages went like hot cakes. 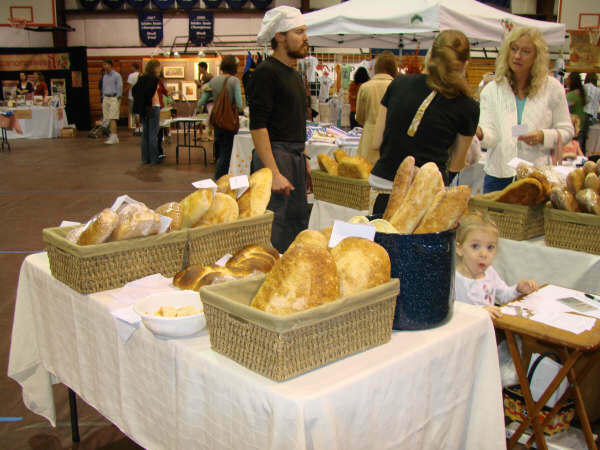 We also invited private vendors to sell their wares and we had several booths selling things like artwork, books, homemade bread, and flowering bulbs. It really was a jolly event! I am a racquetball court. Wow – it looks like it was a wonderful, smashing success! It’s times like these I wish we lived in Moscow, ID as well! Sounds neat! “Fall Jolly” sounds like the perfect name. I second garstabugg about Moscow. 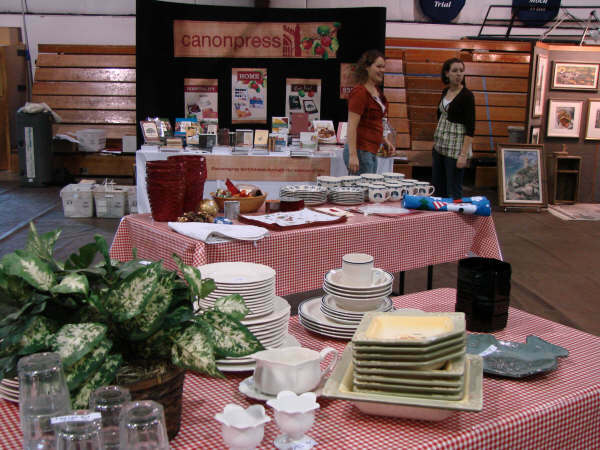 It’s a great idea to sell used items and books at an event that is part craft fair! Thanks for sharing the pics of the fall jolly! Looks like lots of fun! Wow!!! I love it!! I want to see more pictures. I love this idea. Can you tell us what the goal is. Are you raising money for something special or is this an opportunity for people to sell their items like a little business? I’m afraid Moscow can’t beat a New England fall!!! I’m in Virginia now and I really miss those crispy, NH, autumn days. I’m sure Moscow is just gorgeous right now too! 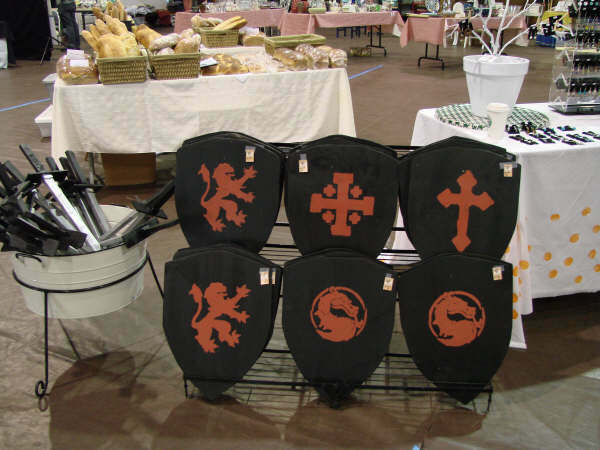 The swords and shields were a big hit and flew out the door! (I will see if anyone wants to arrange for a sale of the remaining items online….hmmm. But don’t hold your breath on that one!) The funds from the Fall Jolly go into the ladies’ fellowship fund, and we have plenty of ideas of what we might do with it, but we haven’t made any decisions yet. We are hopeful that some day soon God will enable us to build the beautiful church building that we have plans for. Then we will need to furnish a church kitchen. What a happy thought! That looks so great and so inviting! Good job! Well done. I say “bravo” to the baker whoever he or she is. Absolutely beautiful looking bread. Such inspiration! I think I speak for all of us living in Phoenix, AZ when I say that we would love to see pictures of the beautiful fall colors in Idaho!! It might be all we get. Becca told me about the Fall Jolly and said she had quite a jolly time herself. She is loving everything about NSA and Moscow. Just a thought….perhaps some of the jolly items could be offered through an etsy shop. Perhaps one that is set-up specifically for the LadyKirk group. I know there were quite a few items that were of interest to me and I wouldn’t mind ordering.